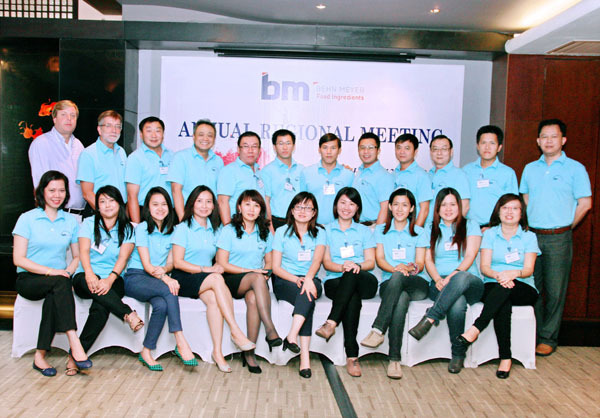 The annual food ingredients meeting was held in Hanoi, Vietnam, this year. 22 managers from 7 Asean countries participated in the event and discussed the financial results of the current year as well as the budget for 2013. Ideas were exchanged on how to grow the business and tackle the challenges facing the food industry in the region. Dr. Schwentner, Managing Director of Behn Meyer R & D Services Sdn. Bhd., presented the results of the research projects that the group had initiated.